The Ascension of our Lord. 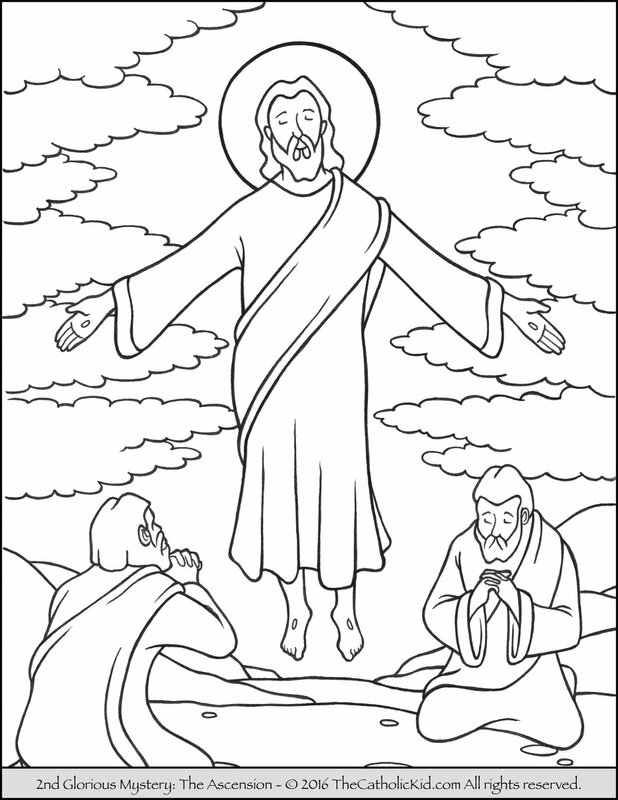 This coloring page makes for a great Ascension Thursday activity. Jesus Ascended into Heaven 40 days after easter (10 days before Pentecost). By ascending into His glory, Christ completed the work of our redemption. The Feast of the Ascension of our Lord is a Holy Day of Obligation and we must go to mass (sometimes it’s transferred to the following Sunday. Please check with your pastor).